A project run by NHS Calderdale Clinical Commissioning Group (CCG) has suggested that the use of telehealth in care homes could cut hospital admissions by as much as a third and free up some £1bn for the NHS. The Quest for Quality in Care Homes project was set up in 2013 to investigate how technology could support care home residents and reduce falls. The five-year project involved equipping care homes in Calderdale, Yorkshire with sensor-based equipment designed to monitor residents and alert staff to those in need of assistance. 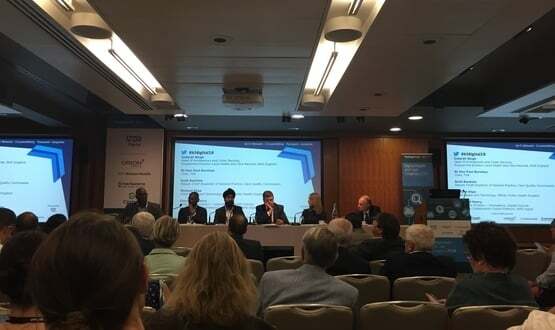 Results from the programme indicated that “technology-led” care home models overseen by clinical staff could greatly reduce avoidable hospital visits, with the project said to have make savings equating to some 7,000 hospital bed days in its first two years alone. Having a multidisciplinary nursing team on-hand to support residents also meant that GP visits to care homes were reduced by 45%. The project was run in partnership with Calderdale Council and Calderdale and Huddersfield NHS Foundation Trust, and used technology supplied by UK firm Tunstall Healthcare. Katie Berry, a nurse from Calderdale’s Quest for Quality team, said: “This type of technology is massively important. It has without a doubt enhanced safety for our vulnerable care home residents. The initiative saw sensors installed in key locations such as nears beds and doors, which were triggered when movement was detected. At the same time, care home residents were provided with fall-detecting wearables and “intelligent pendants”, the latter of which enabled individuals to call for assistance from nursing staff when needed. Alerts from the equipment were sent to pager-like devices carried by care staff. Berry explained that providing care home residents with monitoring devices allowed them to be more independent. “I worked with a lady who, before she became unwell, had been extremely active and enjoyed long walks,” she said. “She had suffered many hospital admissions for injuries from falls. We advised giving her a falls detector, so that rather than restrict her in doing something she enjoyed, she still had the freedom to walk about the care home and grounds. Research commissioned by Tunstall concluded that the NHS could make savings of around £1bn annually if similar “telecare” approaches were rolled out on a nationwide basis, avoiding some 226,000 hospital admissions and releasing 2.5 million bed days. The study combined national government data with that from other regional telehealth/ telecare programmes, such as remote consultation technology being used in care homes by Airedale, Wharfedale and Craven CCG. Research from iMechE in February concluded that adapting homes to suit the needs older people could save the NHS billions of pounds each year. Dr Belinda Coker, clinical director of Tunstall and a sessional NHS GP at the Hurley Clinic in South East London said: “Around 383,500 older people with multiple and complex long- term conditions reside in care homes. Although they represent just 0.7% of the population, due to their healthcare needs, they use a disproportionately large share of the NHS’s resources. “That is why reducing avoidable admissions and prolonged hospital stays has become a priority for healthcare commissioners and STPs. 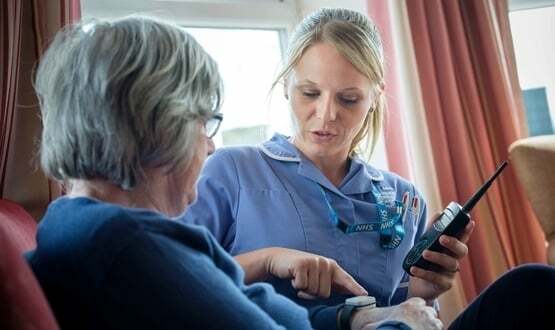 Calderdale CCG is still using telecare to support care home residents: admissions relating to falls have decreased by 7.7% in the past year, resulting in an annual saving of more than £200,000. Dr Steven Cleasby, chair of NHS Calderdale CCG said: “The telecare service has been a really important part of what we have achieved through the Quest for Quality in Care Homes project. One of the early sessions focused on ‘What makes implementation of digital innovations a success?’ and involved leaders of national bodies.